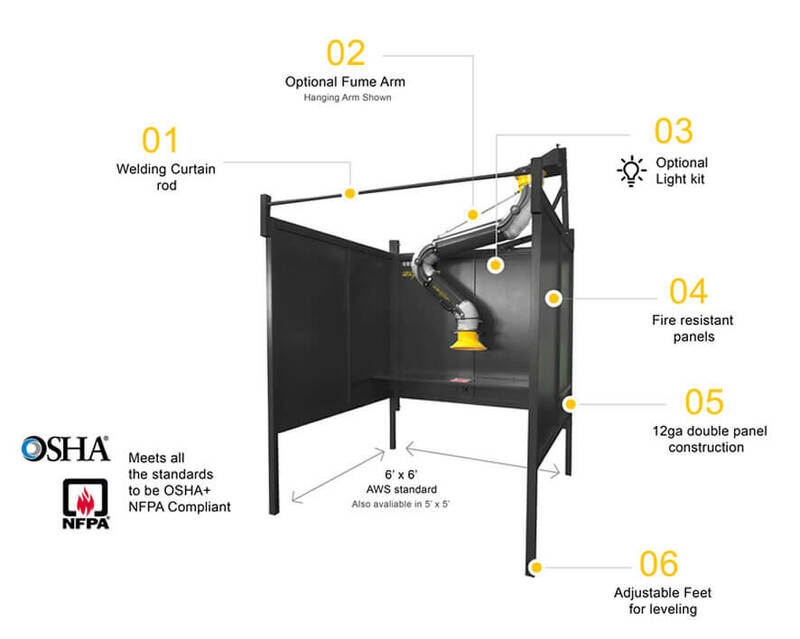 FumeXtractors welding booths are designed for welding schools, technical colleges, and limited footprint production environments. 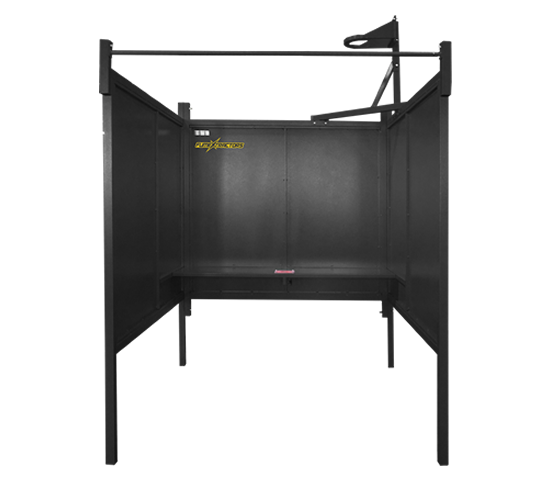 FX-WB booths are self-contained systems that offer hands-free capture to ensure optimal safety and efficiency. 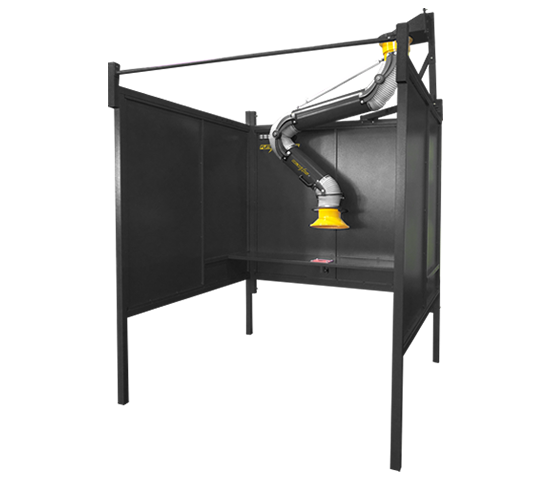 We offer multiple contained and ducted welding booth configurations to meet specific application demands. External Dimensions: 63.8" x 62" x 96"
Internal Dimensions: 60" x 60" x 90"
External Dimensions: 76" x 76" x 90"
Internal Dimensions: 72" x 72" x 90"
It is our goal to ensure that customers are 100% satisfied with their purchases, that’s why our products are designed to deliver high-quality standards and long-lasting performance. 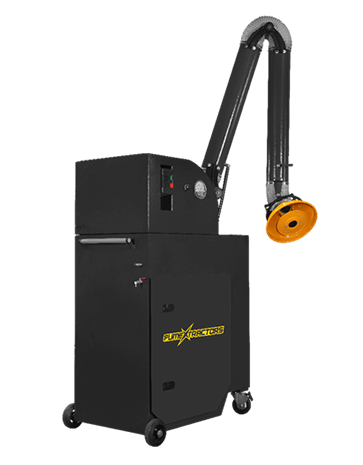 As the original purchaser, we guarantee that your FumeXtractors product will remain free from defects in material within two years of its original purchase. If such defects appear under normal usage, we will repair or replace your product at no cost to you. Please refer to the Owners Manual for more information about our Two Year Limited Warranty.